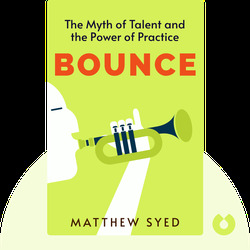 In Bounce (2011), Matthew Syed explores the origins of outstanding achievements in fields like sports, mathematics and music. 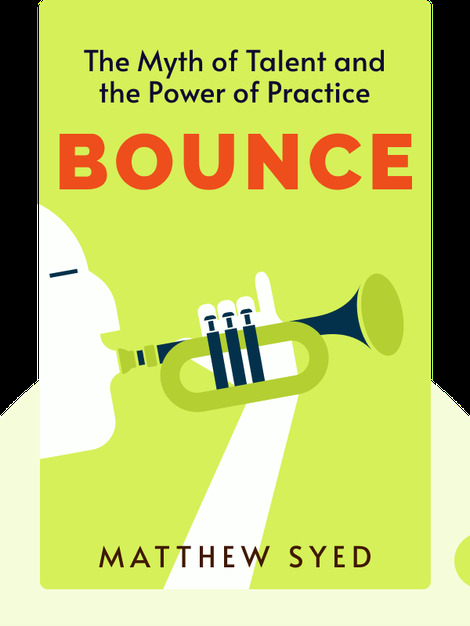 He argues that it is intensive training, not natural ability that determines our success, and people who attribute great performances to natural gifts will probably miss their own chance to succeed due to lack of practice. Matthew Syed is an award-winning sports journalist who writes columns for The Times and also works as a commentator for BBC Sports. As a table tennis player, Syed was the English number one for almost ten years and played in two Olympic Games.